To JL and other Jeep seekers out there, the best advice I can offer for finding a Jeep Unlimited (especially one that’s reasonably priced), is to wait patiently — because, as you know, they are few and far between. Other than that, I can share with you what worked for us. 1. We scoured through Jeep ads on the Internet for about 2 months… just looking for a Wrangler (not necessarily an Unlimited). We were in a position to be picky. And we were in no rush, so we just kept fine-tuning our choices. We explored places like eBay Motors, AutoTrader, and others. We called on some of them (very few). 2. We told everyone we knew that we were in the market for a Jeep Wrangler… asking, if they knew of someone selling to let us know. We actually got several leads this way — not just from friends who knew of someone selling a Jeep, but also from friends who PASSED a Jeep for sale on their way home, etc. We even had relatives in other states telling friends-of-friends to be on the lookout for a Jeep for us. We felt these were all “qualified” leads, and we called on many of them. 3. We kept our own eyes peeled for Jeeps for sale in front yards, parking lots, and driving down the road. We felt most confident about these, since we’d seen them with our own eyes. We called on many of these. 4. We spent a good deal of time at JeepClassifieds.com. That’s all they advertise is Jeeps, so we frequently found some we were interested in. We called on many of these. In the end, even though we were very receptive to traveling great distances to find the Jeep of our dreams (we had dozens of “frequent flier” miles on Southwest to use up! ), all three times we ended up buying locally. Well, we actually drove a few towns away to get two of the three Jeeps we bought, but we remained within the state. One was a Jeep Grand Cherokee we found through an online classified & drove 90 miles to get. One was a Jeep Wrangler Unlimited we drove by & saw on a used car lot one Saturday afternoon — just down the street from our house. 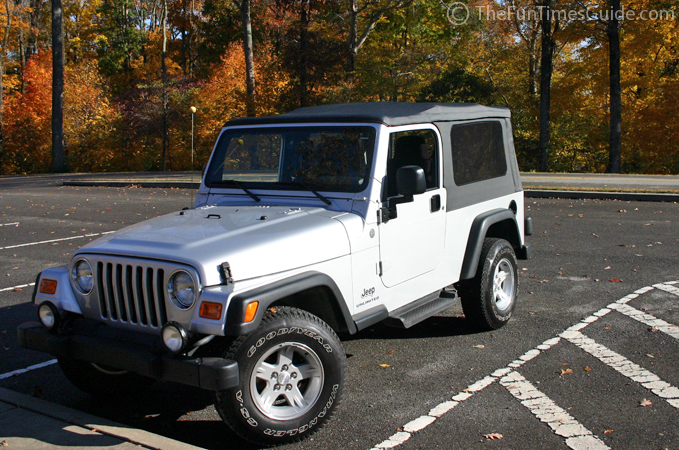 I feel strongly that you just have to be in the right place at the right time, when looking for a Jeep Wrangler. While we are not at all opposed to buying a vehicle online, it’s much easier and much more likely that you’ll just happen upon the Jeep of your dreams during the course of your time out & about. We learned that private owners tend to sell their Jeep Wranglers during the months of September & October, then again in March & April. This is largely due to the fact that they are convertibles, and in colder climates they are not driven much during the winter months. That, and the fact that Jeep owners know that people start getting the “itch” to buy a Jeep as soon as Spring hits and the weather turns warmer. Though truthfully, here in Tennessee, you see Jeep Wranglers for sale by private owners year-round! Unlimiteds… now that’s another story. Our Unlimited came from a used car lot (a very odd situation that’s explained here), but your chances of finding a used Jeep Unlimited are quite slim, since they’ve only been on the market since 2004. It’s all a waiting game. If you want one bad enough, you’ll wait around for the right one to find you! …and if you just can’t wait to scratch that itch, then rent one!